Autonomy is a central feature of adolescent development, playing a key role in adolescents’ psychosocial adjustment. However, opinions differ about the nature and definition of autonomy and so important questions regarding the role of autonomy in adolescents’ development have remained unanswered. This book helps to address these questions while bringing clarity to the literature on adolescent autonomy. 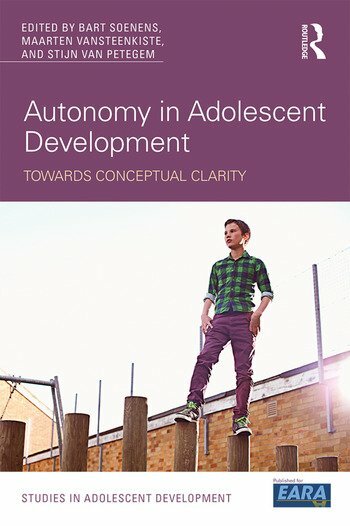 Autonomy in Adolescent Development: Towards Conceptual Clarity highlights a distinction between two notions of autonomy: autonomy-as-independence and autonomy-as-volition. The chapters in this volume illustrate how this distinction sheds new light on controversial questions regarding autonomy, such as: Is more autonomy always beneficial for adolescents’ psychosocial adjustment? Or are there limits to the amount of autonomy ideal for well-being and social adjustment? Is autonomy a universally critical ingredient of optimal development? Or do effects of autonomy differ by cultural context and socioeconomic status? How can parents, siblings, and peers promote the development of autonomy? Bringing together scholars from varied theoretical backgrounds studying autonomy in different contexts, this book provides an overview of recent conceptual and empirical work from diverse perspectives, yielding refreshing and thought-provoking insights into the nature of adolescent autonomy. Autonomy in Adolescent Development is invaluable for advanced students and researchers in adolescent development, acting both as a guide and as a source of inspiration for new research in the area. Bart Soenens is professor at Ghent University, Belgium, where he teaches undergraduate courses on developmental psychology. His research is mainly about parent-child relationships and about the role of parenting in child and adolescent development. Maarten Vansteenkiste is professor at Ghent University, Belgium. His major research interests include the study of motivation and autonomy in diverse life domains. Stijn Van Petegem is a postdoctoral researcher at the Institute of Psychology and member of the Family and Development Research Center (FADO) at the University of Lausanne, Switzerland. His major research interests include autonomy, defiance, parenting, and identity development.